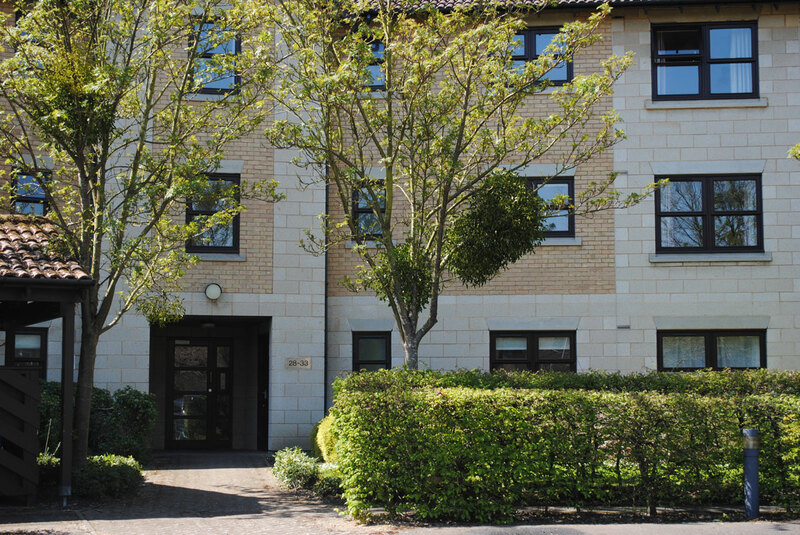 A mixture of one and two bedroom modern apartments located in a quiet residential area and only a short 2 minute walk from the Institute. 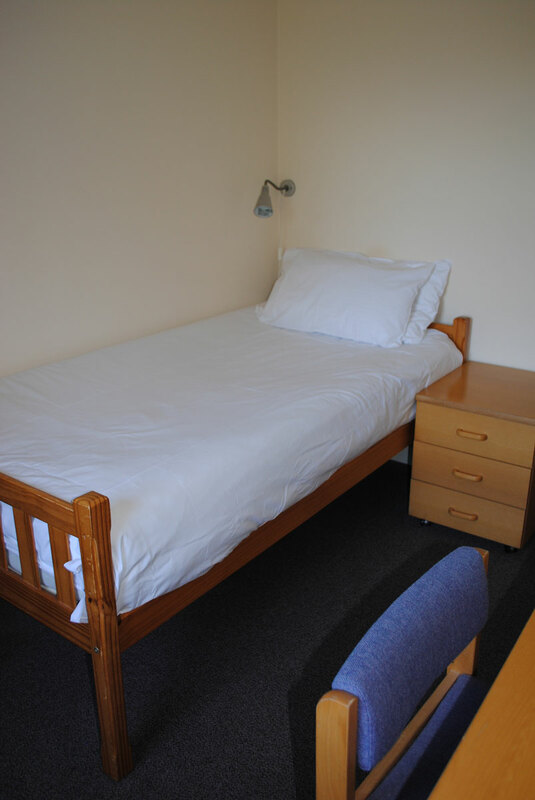 Please apply for accommodation as soon as possible by submitting a Housing Request Form. One-bedroom apartments would ideally suit a couple. They have a double bedroom with a combined living room and kitchen. 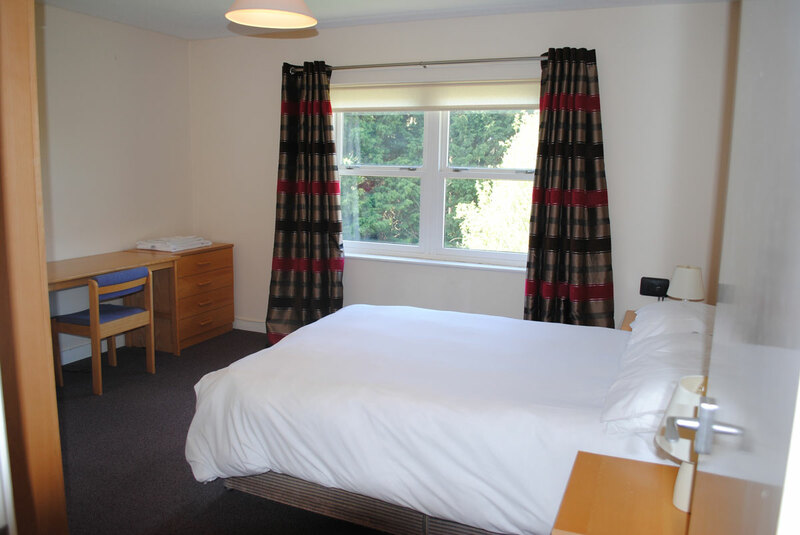 Most of these apartments are furnished with a double bed but we can provide twin beds if needed. Two-bedroom apartments (large and medium size) consist of one double bedroom (Room A) and a single bedroom (Room B) with a shared bathroom. 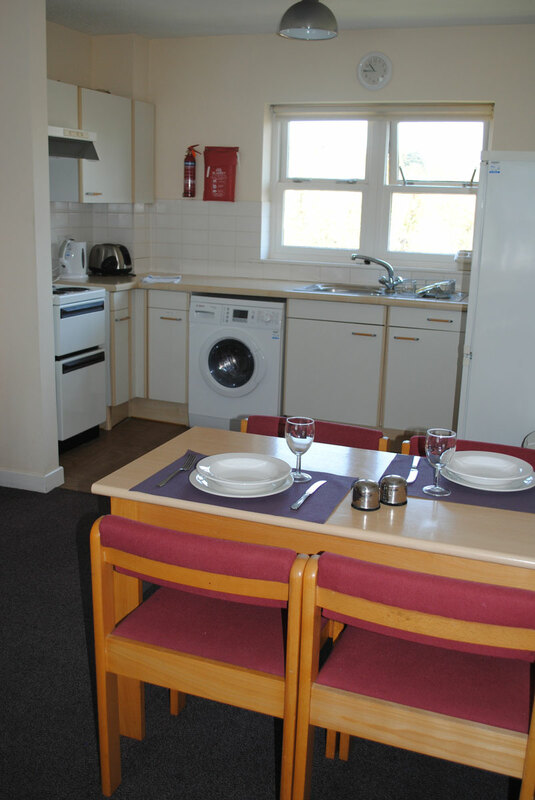 The medium size apartments have a combined living room and kitchen whilst the large size apartments have a separate kitchen. 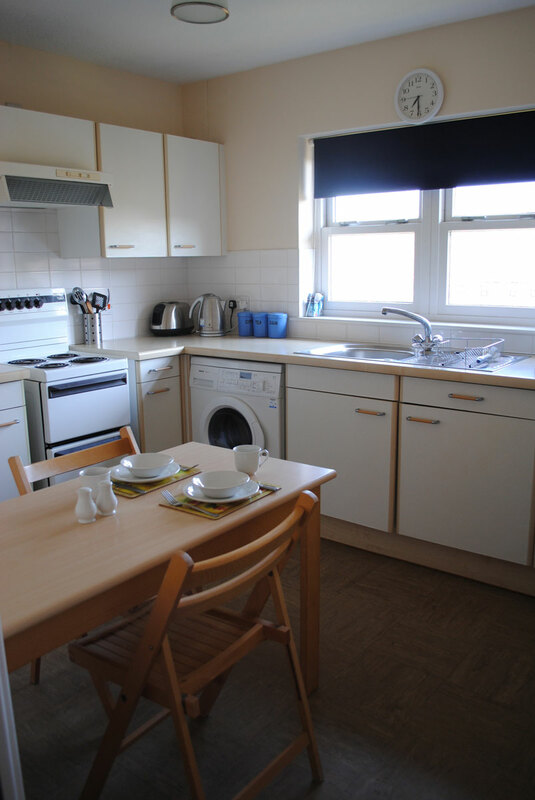 Fully equipped kitchen with washing machine/dryer, microwave oven, fridge/freezer and a living area with sofa. 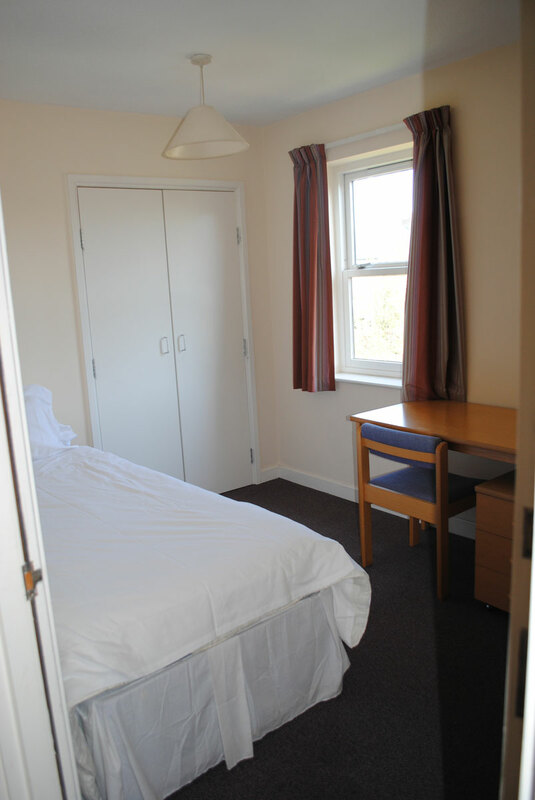 Double bedrooms contain a wardrobe, double size bed, chest of drawers, side tables. Single bedrooms contain a single or bunk bed, wardrobe and chest of drawers. Bed linen and towels are provided. Please note there are no televisions in these properties. We do have a Television License so that you are permitted to access services via your laptop, mobile or tablet device. There are parking spaces available at the front of the property. 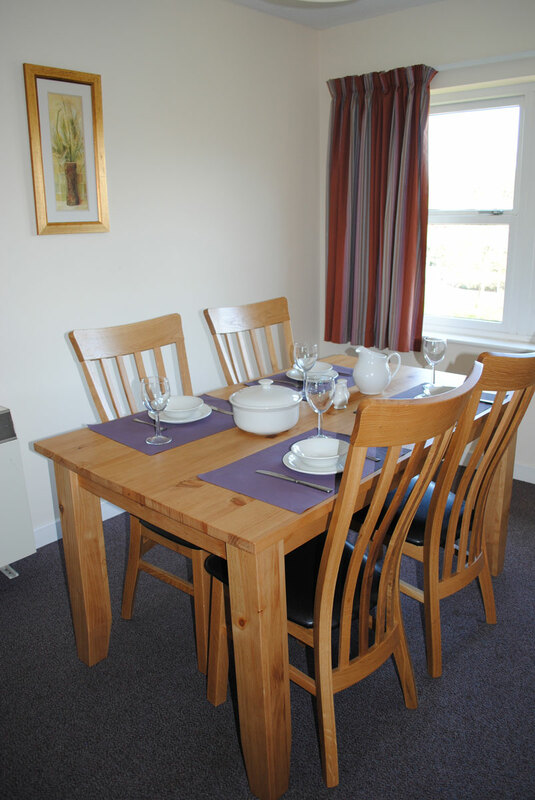 Telephone and internet access are provided in all properties. 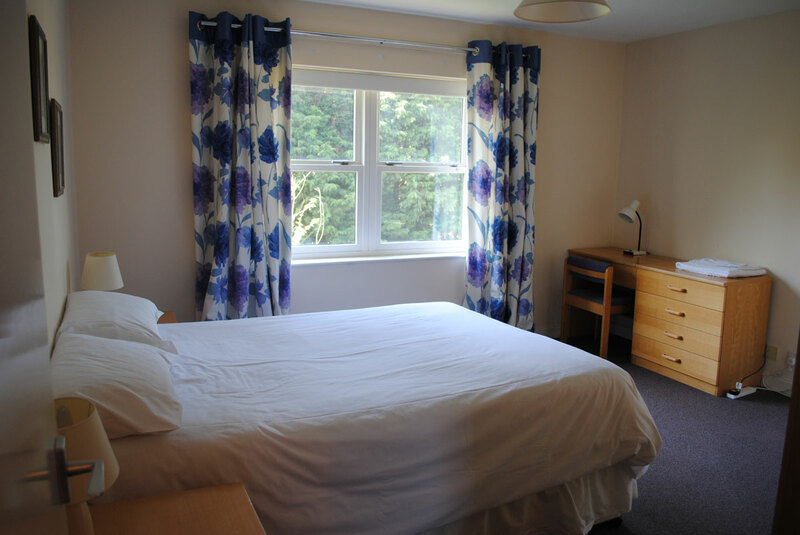 We hope you enjoy your stay at Benians Court. If there is anything missing or broken in the apartment, please let the Housing Office know immediately so that we can make your stay more comfortable. We generally have someone carry out minor repairs on a monthly basis, so it is important that we have the details as soon as possible. Please complete a Housekeeping Request Form to notify us of any repairs. Remember!! If we do not know something is broken, we cannot arrange to have it fixed. You are responsible for cleaning your own room. Our housekeeper will come once a week to clean communal areas only. As much as possible the cleaners have been asked not to move your belongings. This means that surfaces will only be fully dusted/cleaned if they are left clear. When there is a family or couple in the property we do not enter to do any housekeeping unless agreed with the Housing Office. The properties are equipped with a washing machine/dryer (half-loads only for drying - see instruction booklet). Beds will be prepared for you on arrival but not thereafter. If you require additional linen, please complete a Housekeeping Request Form and our housekeeper will bring you what you need. Towels are also provided. 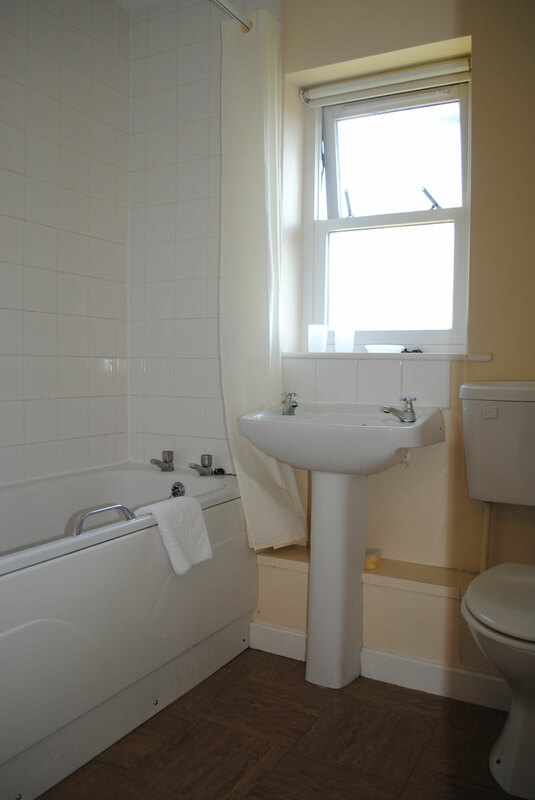 All the properties are provided with a linen basket. Please leave your dirty linen there and our housekeeper will empty it weekly or when requested. Clean linen will be delivered within 24 hours of a request being received. If you leave the request early in the morning, you will most probably get the clean linen the same day. Request forms sent on-line will be dealt with on the same day, unless it is received outside of our housekeeper's working hours (11am to 5pm). 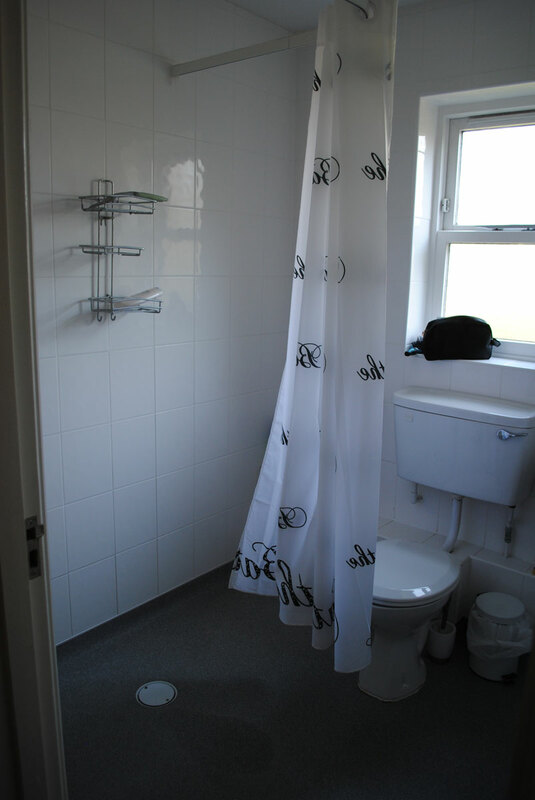 We provide all the houses with toilet paper, dishwasher liquid and garbage bags on arrival, as a courtesy. We will not provide them during the whole period of your stay unless you are sharing an apartment. Hot water and heating are powered by electricity and heating costs are incorporated into the rent charged by the Institute to avoid having to invoice participants at a later date. We read the meters on a regular basis and ask all tenants to be mindful of the cost of heating using the guidelines given below. We may be forced to increase your daily rent if your electricity bills grow to an unexpected level. The hot water tank has two switches; one is switched on permanently to 'off peak night' and is on a special meter to heat water overnight at a cheaper rate. The other switch 'peak daytime' should only be used to boost the system if necessary, and should then be turned off as soon as possible as this uses electricity at a much higher rate. The storage heating system accumulates heat during the night and resleases it gradually throughout the day. Heaters in the hall and living area can have the Input set between 1-6, which controls the amount of heat being stored overnight. The Output can also be set between 1-6 which controls the heat being released during the day. Heaters in the bedroom work on timers and can be set as required, but are more expensive to use. There are switches on some heaters indicating 'not to be used' because they use peak rate electricity. These switches should only be used on an occasional basis to boost the system. Do not cover any of the heaters with clothes etc. as this could damage the heater and ultimately cause a fire. If the heater is damaged due to being covered, you will be charged for the repair. These properties have a telephone on the internal University system, which requires users to dial 9 to get an outside line..
Internal calls to any University of Cambridge number are free of charge. You only need to dial the last five digits. For example, the Institute Reception can be called using 35999. 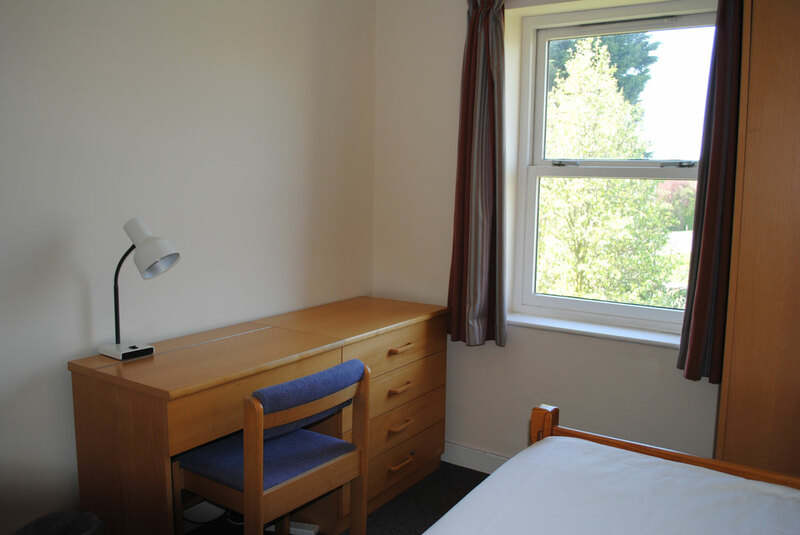 All properties have wireless internet access, the router is located in the double bedroom or living room. If you cannot access internet on arrival please try resetting the router before calling the Housing Office. The password for the internet can be found on the back of the router and on the notice board in the hallway. The front door of the apartments are not self-locking so you will need to turn the latch from the inside. Please make sure all windows and doors are securely shut before leaving the property; this is particularly important for the ones on the ground floor. The properties have a shed to store bicycles, please contact the Housing Office to get the access code. Please, do not put bicycles inside the communal areas or apartments. There are a number of shops close to your accommodation. The nearest convenience shop can be found at the start of Histon Road. It is a small convenience shop, but very well stocked. The closest supermarkets are Sainsbury's Sidney Street, and Sainsbury's Eddington Avenue. The former is normally open 07:30-23:30, except Sundays - and bank holidays - when it closes at 17:00. The latter is open from 07:30-10:00, except Sundays when its hours are 10:00-16:00. If you have a credit / debit card with a UK billing address, you can also order food to be delivered from some stores such as Iceland, Marks and Spencer, Sainsbury's and Tesco but you must be at home to take delivery. There is a traditional and colourful market in the city centre where you can find various stalls selling fresh vegetables, crafts, cds, books or even a watch repair service. In the event of an emergency dial 9 to get an outside line and then 999 and ask for the Fire, Ambulance or Police as appropriate. Please also inform the Housing Office on 01223 765730 (out of hours 07879 116707). Please be aware outside office hours we are only able to offer support for emergency situations. For example, a burst water pipe or a fire alarm. Unfortunately we are not able to offer help with internet problems or other non emergencies. Please note that calls made outside office hours that are deemed not to be an emergency will be charged at £50. 1 Huntingdon Road, Cambridge CB3 0DB. For health advice and reassurance, 24 hours a day, 365 days a year. Call 111. Taxis can be booked in advance and all service the airports and train stations.